I sent out the release announcement for curl 7.52.0 exactly 07:59 in the morning of December 21, 2016. A Wednesday. We typically release curl on Wednesdays out of old habit. It is a good release day. curl 7.52.0 was just as any other release. Perhaps with a slightly larger set of new features than what’s typical for us. We introduce TLS 1.3 support, we now provide HTTPS-proxy support and the command line tool has this option called –fail-early that I think users will start to appreciate once they start to discover it. We also announced three fixed security vulnerabilities. And some other good things. I pushed the code to git, signed and uploaded the tarballs, I updated the info on the web site and I sent off that release announcement email and I felt good. Release-time good. That short feeling of relief and starting over on a new slate that I often experience these release days. Release days make me happy. Hours passed and maybe, just maybe there was not going to be any quick bugs filed on this release? But of course. I wouldn’t write this blog post if it all had been nice and dandy. At 14:03, I got the email. 6 hours and 4 minutes since I wrote the 7.52.0 announcement email. 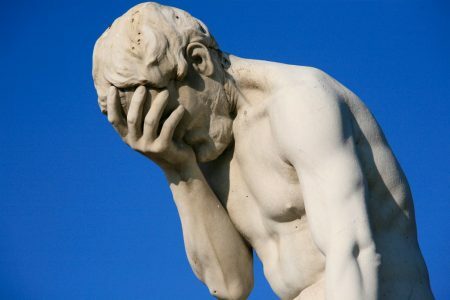 The email was addressed to the curl project security email list and included a very short patch and explanation how the existing code is wrong and needs “this fix” to work correctly. And it was entirely correct! Now I didn’t feel that sense of happiness anymore. For some reason it was now completely gone and instead I felt something that involved sensations like rage, embarrassment and general tiredness. How the [beep] could this slip through like this? I’ve done releases in the past that were broken to various extents but this is a sort of a new record and an unprecedented event. Enough time had passed that I couldn’t just yank the package from the download page either. I had to take it through the correct procedures. I did the largest part of the random overhaul of this in commit f682156a4f, just a little over a month ago. Of course I made sure that all test cases kept working and there were no valgrind reports or anything, the code didn’t cause any compiler warnings. It did not generate any reports in the many clang-analyzer or Coverity static code analyzer runs we’ve done since. We run clang-analyzer daily and Coverity perhaps weekly. But there’s a valgrind report just here! Kamil Dudka, who sent the 14:03 email, got a valgrind error and that’s what set him off – but how come he got that and I didn’t? I (and I suppose several of the other curl hackers) usually build curl and libcurl “debug enabled”. This allows me to run more tests, do more diagnostics and debug it easier when I run into problems. It also provides a system with “fake random” so that we can actually verify that functions that otherwise use real random values generate the correct output when given a known random value… and yeah, this debug system prevented valgrind from detecting any problem! In the curl test suite we once had a problem with valgrind generating reports on third party libraries etc which then ended up as false positives. We then introduced a “valgrind report parser” that would detect if the report concerns curl or something else. It turns out this parser doesn’t detect the errors if curl is compiled without the cc’s -g command line option. 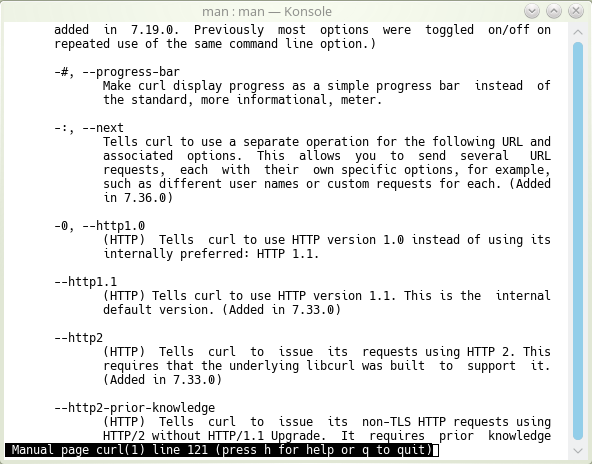 And of course… curl and libcurl both build without -g by default! The vulnerable function basically uses this simple prototype. It is meant to get an “int” worth of random value stored in the buffer ‘rnd’ points to. That’s 4 bytes. But due to circumstances I can’t explain on anything other than my sloppy programming, I managed to write the function store random value in the actual pointer instead of the buffer it points to. So when the function returns, there’s nothing stored in the buffer. No 4 bytes of random. Just the uninitialized value of whatever happened to be there, on the stack. So yeah. I introduced this security flaw in 7.52.0. We had it fixed in 7.52.1, released roughly 48 hours later. The primary way to make this same mistake not happen again easily, is that I’m removing the valgrind report parsing function from the test suite and we will now instead assume that valgrind reports will be legitimate and if not, work on suppressing the false positives in a better way. The real commit that fixed this problem is here, or as stand-alone patch. Facepalm photo by Alex E. Proimos. 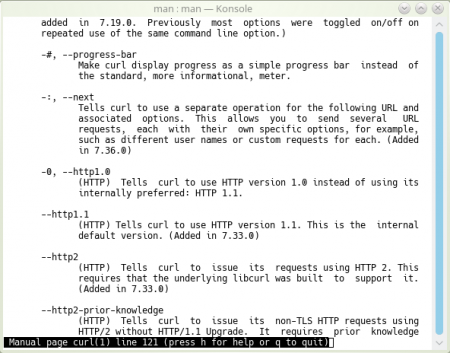 The nroff formatted source file to the man page for the curl command line tool was some 110K and consisted of more than 2500 lines by the time this overhaul, or disentanglement if you will, started. At the moment of me writing this, the curl version in git right now, supports 204 command line options. Working with such a behemoth of a document has gotten a bit daunting to people and the nroff formatting itself is quirky and esoteric. For some time I’ve also been interested in creating some sort of system that would allow us to generate a single web page for each individual command line option. And then possibly allow for expanded descriptions in those single page versions. To avoid having duplicated info, I decided to create a new system in which we can document each individual command line option in a separate file and from that collection of hundreds of files we can generate the big man page, we can generate the “curl –help” output and we can create all those separate pages suitable for use to render web pages. And we can automate some of the nroff syntax to make it less error-prone and cause less sore eyes for the document editors! With this system we also get a unified handling of things added in certain curl versions, affecting only specific protocols or dealing with references like “see also” mentions. It gives us a whole lot of meta-data for the command line options if you will and this will allow us to do more fun things going forward I’m sure. You’ll find the the new format documented, and you can check out the existing files to get a quick glimpse on how it works. As an example, look at the –resolve documentation source. Today I generated the first full curl.1 replacement and pushed to git, but eventually that file will be removed from git and instead generated at build time by the regular build system. No need to commit a generated file in the long term. Thank you everyone who nominated me. I’m truly grateful, honored and humbled. You, my community, is what makes me keep doing what I do. I love you all! 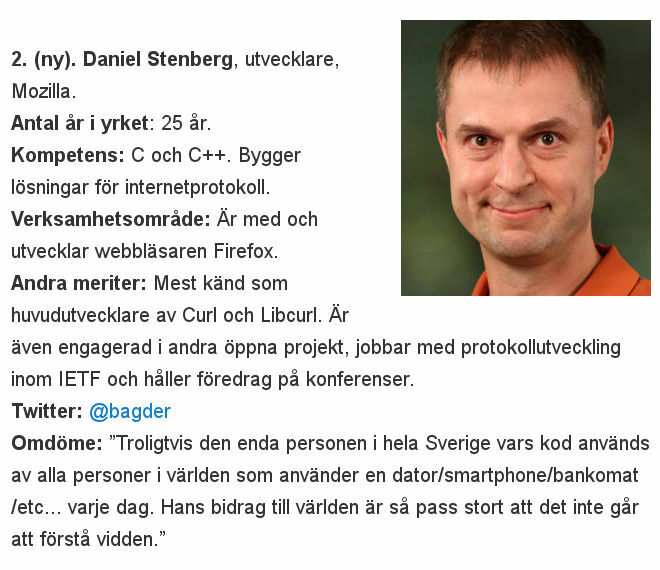 To list “Sweden’s best developers” (the list and site is in Swedish) seems like a rather futile task, doesn’t it? 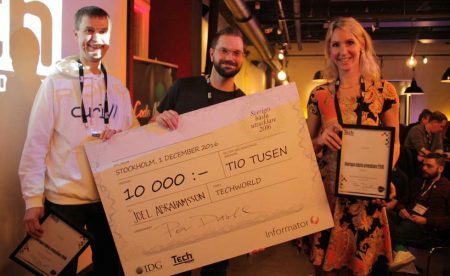 Yet that’s something the Swedish IT and technology news site Techworld has been doing occasionally for the last several years. With two, three year intervals since 2008. Everyone reading this will of course immediately start to ponder on what developers they speak of or how they define developers and how on earth do you judge who the best developers are? 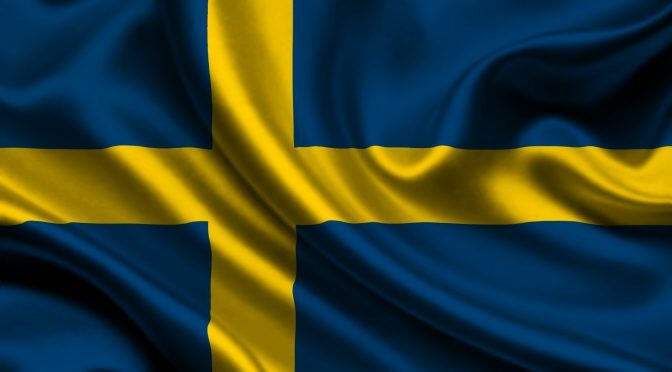 Or even who’s included in the delimiter “Sweden” – is that people living in Sweden, born in Sweden or working in Sweden? I’m certainly not alone in having chuckled to these lists when they have been published in the past, as I’ve never seen anyone on the list be even close to my own niche or areas of interest. The lists have even worked a little as a long-standing joke in places. This year, their fifth time doing this list, they changed the way they find candidates, opened up for external nominations and had a set of external advisors. This also resulted in me finding several friends on the list that were never on it in the past. 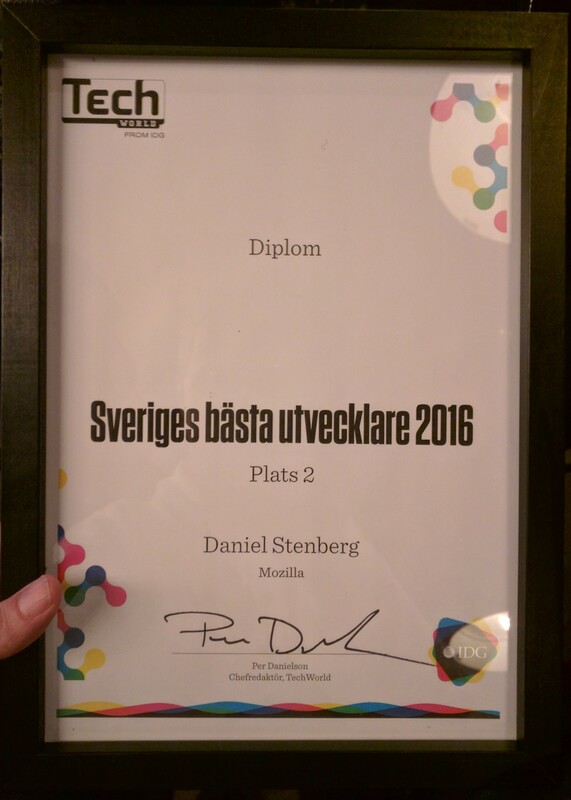 Tonight I got called onto the stage during the little award ceremony and I was handed this diploma and recognition for landing at second place in the best developer in Sweden list. Yes I’m happy and proud and humbled. I don’t get this kind of recognition every day so I’ll take this opportunity and really enjoy it. And I’ll find a good spot for my diploma somewhere around the house. I’ll keep a really big smile on my face for the rest of the day for sure!